Why we send our customers free gifts? Because we really care them and want them to have a good impression about our products, our brands plus us. Since decided to set foot in hair business, besides good quality hair products, fast while reasonable cost delivery method, free gift is another very important thing to consider for me. I didn’t search online about what free gifts for customers since very possibly they’re out of date or too common. I know many hair sellers send their hair customers free hair pins, hair nets, and hair related items. But in my opinion, all these hair related items should be basic included in the product package. I want my free gifts to be surprised by our buyers. After thinking for a few days, I decided to visit several makeup commodity wholesale markets in my city. I believe I will find several specially designed, with good looking but very practical little items for my customers. Good free gifts shouldn’t be with heavy weight or big size since this kind of things will add extra shipping cost. With metal or liquid isn’t also appropriate since it may damage the hair products when package is heavily damaged during the shipping process. My dreamy free gifts should be with very good looking, interesting design, my customers can often use in their daily life, small size, light weight, better beauty related since we often place beauty and hair into one category. After 2 days’ local selecting, I only found a few kinds of little items. Maybe it’s because my requests are too critic. 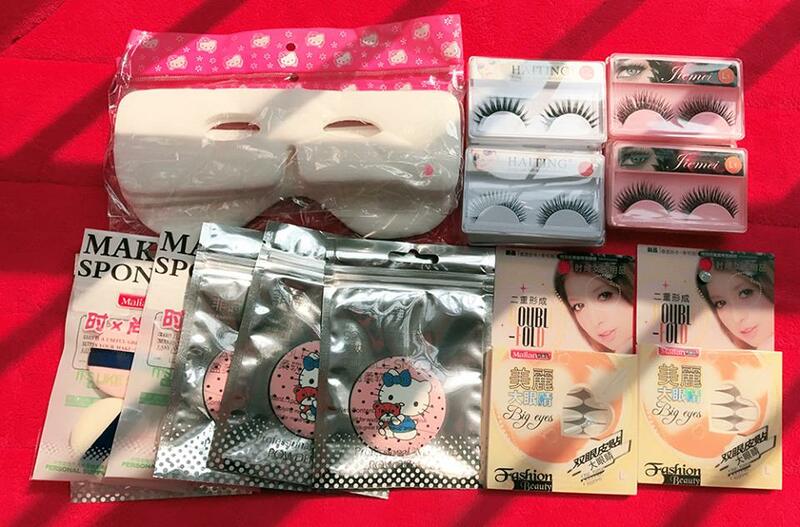 False Eyelashes (each pair package), Small Power Puff, Double Eyelid Stickers and DIY Eye Mask Sheet. All these 4 kinds of beauty items meet my requests about free gifts for hair business. I’m totally satisfied with the final results.